Parents are the Key is a program designed to help parents keep their teen drivers safe. This CDC program encourages parents to set the rules of the road and to enforce those rules with a parent-teen driving agreement. Car crashes are the number 1 killer of teens with driver inexperience as the main cause. Because parents have the greatest influence over their teen’s behavior, they play a key role in preventing teen car crashes and deaths. 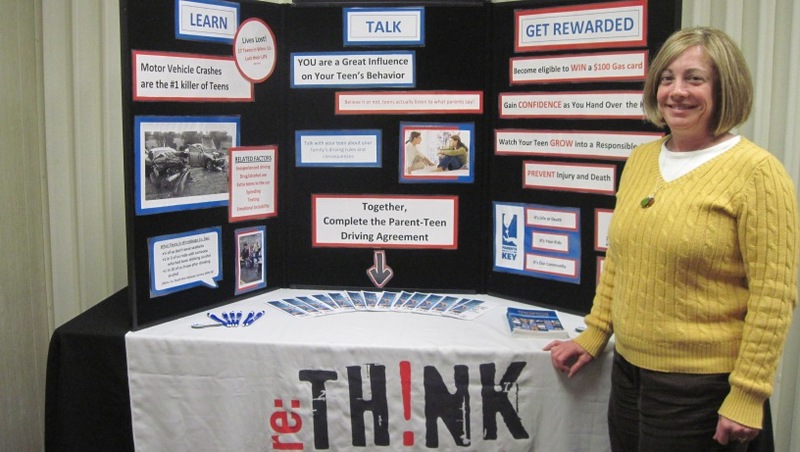 As a result of findings from the Winnebago County Child Death Review Team, re:TH!NK, in collaboration with the Sheriff’s Office and Dept of Human Services, promoted this safe teen driver campaign in schools and the community in 2011. Outreach and promotion of the program was available at the Winnebago County Fair, Lifest, Parent/Teacher conferences and parent meetings at all schools in Winnebago County and at monthly immunization clinics held by the county. 240 students enrolled in driver’s education classes were provided literature on the campaign. Mass mailings were done for Winnebago County 10th grade students with 1585 students receiving the brochure and driver agreement. There was also a television interview done on a local Green Bay station about Parents are the Key.